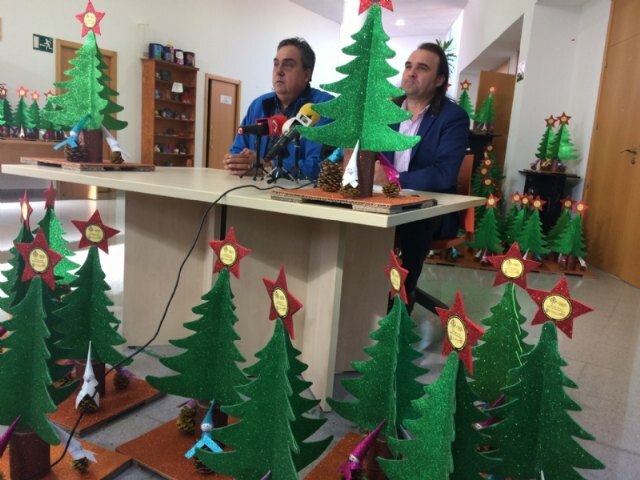 Users of the Disability Day Centers of Totana have handed over to the Merchants' Association the Christmas ornamental details with which these parties will decorate their commercial establishments in this town, and which have been made by them during the last months. 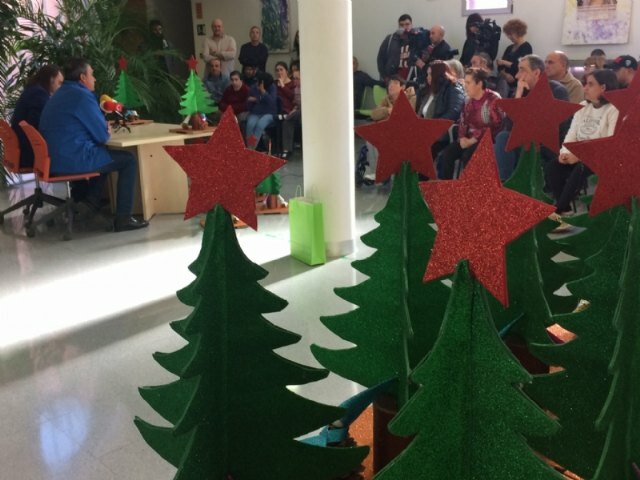 The users of the Day Center for People with Intellectual Disabilities "José Moyá Trilla" and the Day Center for People with Mental Illness "Princess Letizia" have carried out, guided by their monitors, these Christmas details for the fifth consecutive year, which will serve to decorate the businesses adhered to this association. 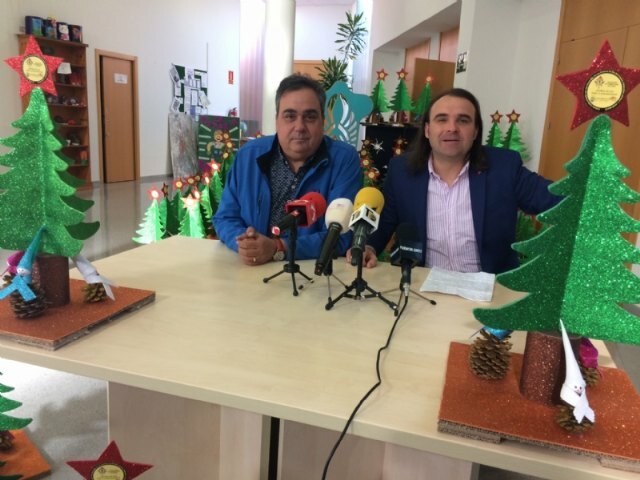 The Councilor for Social Welfare, Javier Baños, and the president of the Association of Merchants of Totana, Francisco Andreo, participated in this act of delivery that was held at the Day Center for People with Mental Illness. 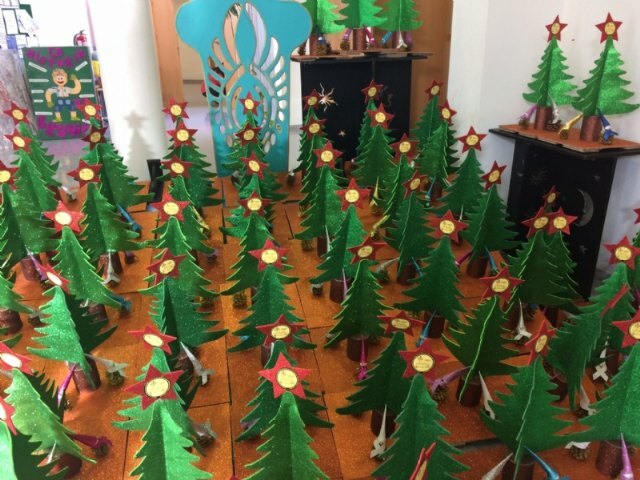 in which users have displayed their personal abilities and abilities. At the same time it serves to develop the self-esteem of the participants and to show the citizenship the capabilities of the users. At the same time, he thanked the Merchants' Association for relying on the possibilities of the two day centers, serving as a testimony of the work carried out jointly by professionals, family members and users.